So you might remember that one week ago we announced a book giveaway. The winner of that giveaway was Toni Manning! Congratulations, and your book is on its way to you. 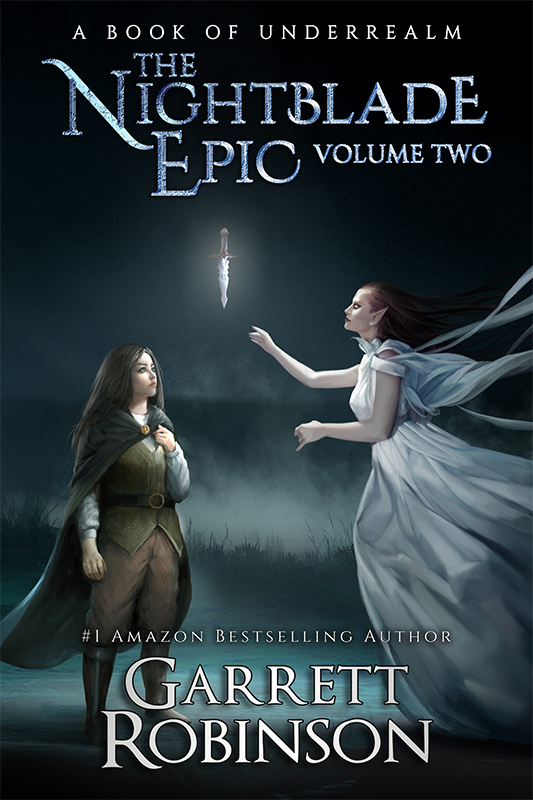 Because yes, today is the release day of the official second edition of Darkfire! So Darkfire is the third book in the Nightblade Epic, the third book I wrote in the world of Underrealm, and the eighth book I wrote, period. While it’s similar in tone to Nightblade and Mystic, it’s also the first book that really starts laying the groundwork and setting the stage for the broader world of Underrealm. It takes the seeds that were planted in Mystic and starts to foster and grow them out into a much bigger creation than the story’s been up to that point, and by the end of the book, the NATURE of the story has changed. Now, that’s a very important point. Yes, Darkfire is the third book in the series, but I’ve always thought of it another way: that it’s the END of the first TRILOGY. Every story of Underrealm is structured to come in installments of three. And going forward in the future, every series except one will come out three at a time. And Darkfire is the first time we see WHY I’ve decided to build the world out that way. Nightblade and Mystic are a very particular type of story, and so is Darkfire—but by the time Darkfire ends, we see that that type of story can no longer be told. Fundamental things have changed in Loren’s life and the whole world of Underrealm, so that she can’t be the happy-go-lucky wannabe-thief escaping from one mortal danger to another. And on that note, the primary theme that Darkfire deals with is the acceptance of purpose and responsibility, which is something I’ve often struggled with. When I left high school, and then again when my wife and I had our first child, I had these grand ideas of what I wanted to do with my life. I didn’t want to become a master thief, but I had similarly highfalutin ideas of a life full of mystery and adventure and wonder. And I still love those things, and I still want those things. But at some point, real life, and an insight into the lives of other people, made me realize that I was living without a real purpose. I knew what I wanted to do, yes, and I knew what I enjoyed, but it was easy for me to give up on things because I didn’t have a strong enough WHY to keep me in the game. If we don’t have personal stakes for the activity we’re engaged in, then when that activity becomes a little bit difficult, it’s easy to give up and try something else. And in the first two books, Loren flits from one adventure and quest to another. She’s a little directionless, and it shows, much to the annoyance of almost everyone around her. It’s not until the pages of Darkfire that Loren realizes there are more important things in life than some great tales being told about a master thief in a black cloak. That’s when she really comes into her own as a person of ordinary ability but extraordinary courage and moral grounding, and begins to use that for a higher purpose than herself. And by the end of this first trilogy, the personal changes she has gone through, and the things she has learned about the world and herself, have set her on a new course in life that promises the truly epic adventure she was seeking in the first place. Sooo, yeah. The second edition of Darkfire is available now on Amazon, and there’s a link in the description where you can go pick it up. You can get it on Kindle, or in paperback or hardcover. Depending on how quickly you get one, hardcovers MIGHT be backordered? We hit some snags on the production of the hardcovers. Stupid issue. Whatever. If it’s not available right now, it will be very soon. Darkfire was almost the last thing that took me from a struggling writer to a full-time author—but not QUITE the last thing. There was one more big—like, very, VERY big thing that pushed me over the edge, and it’s the next thing we’re releasing. You can expect to see that one week from today. I’m going to show it to you in detail and explain a lot about it. It’s, um … it’s pretty dang awesome, and I know you’re going to love it. Until then, enjoy Darkfire. The second edition is gorgeous—this is my favorite new cover that’s released yet, although there is another cover coming up soon that is just … whoo. Boy. You’re gonna love it. But that’s all I have for you today, Rebel. Thank you so much for watching. Maybe check out another video from the channel, or my Patreon, where you can see my secret weekend videos. Otherwise, I will see you on Monday. Byyye!